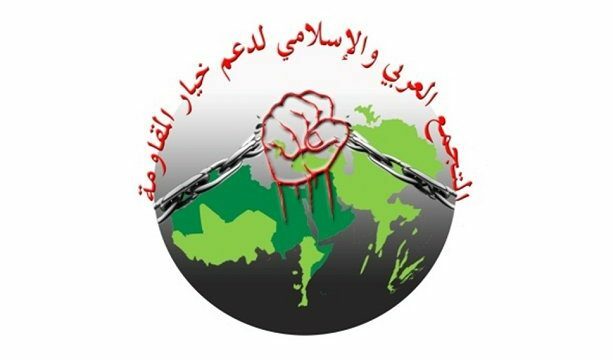 MNA– The “Arab and Muslim Assembly to support the choice of Resistance” stressed standing firm by Islamic Republic as defender of rightful cases of Muslim world and oppressed nations. Members of the “Arab and Muslim Assembly to support the choice of Resistance” held a meeting with Iranian Ambassador to Beirut Mohammad Fathali on Friday evening. The executive delegation of the Assembly is active in 30 Arab and Muslim countries and seven Western countries. All members participated in the two-day meeting in Beirut. During the meeting with the Iranian ambassador, the Secretary-General of the Assembly Dr. Yahya Ghaddar stressed further efforts for supporting the Resistance in defending the rightful positions of Arab and Muslim nations, particularly Palestine, Yemen and Bahrain, as well as for the fight against Zionist and Takfiri terrorism and their allies. “We will fight against the racist and oppressive policies of the new US government such as the dubious plan to create safe zones in Syria or the US embassy’s move to Jerusalem and their exploitations of oil reservoirs of Arab-Muslim countries,” he stressed. He commended Iran as the main supporter of Arab-Muslim Resistance in fighting global Arrogance, particularly the US, Israel and Takfiri terrorists, saying the Islamic Republic has always taken honorable positions in defense of rightful cases of independent nations. The Iranian ambassador, for his part, maintained that the Islamic Republic is always ready to provide Muslim countries with its various achievements in all fields, including science and technology. He further expressed hope that with the eradication of Zionist and Takfiri terrorism, peace and stability would return to all Muslim countries including Syria, Iraq and Yemen; “this objective will be achieved only through resistance, unity and solidarity among all Muslim nations,” he added.